TFL Press Release Re: PCN’s For Cycle Superhighways. Access to Old Broad Street has now been partly restricted. Taxis and private hire vehicles are allowed to drop off passengers in the section of Old Broad Street between London Wall and Broad Street Avenue but should not pass Broad Street Avenue. Drivers must make sure they do not pass Broad Street Avenue to avoid being issued with a penalty charge. The London Taxi Company has launched a newFREEonline service to help customers get the true part-exchange value of their vehicles, quicker, slicker and easier than ever before! Owners can now find out their taxi’s value, in just a few short clicks by visiting the leading manufacturer’s website at www.london-taxis.co.uk. Customers can complete a short form, which is then sent directly to the nearest London Taxi Company dealership and a valuation prepared and relayed back to the customer, by a member of the company’s experienced sales team. Commenting on the continually evolving website, International Market Development Director, Matthew Cheyne said: “This is another great demonstration of the benefits of dealing direct with The London Taxi Company. “We’ve already proved this with the pricing of our new model range, TX4 Style and TX4 Elegance, from £29,995 on the road. Not only is this our lowest priced TX range for more than a decade, but for the first time in years, it means that you can buy a brand new automatic transmission TX4 for less than £30,000! To find out more about the free valuation service, visit www.london-taxis.co.uk or alternatively, contact your local dealer direct! Boris has lost patience with rickshaws. The London Cab Drivers Club (LCDC) have always stated that they will never support Rickshaws being licensed on the streets of the capital in any shape or form. This is why the (LCDC) with the help of Simon Hughes the Deputy Leader of the Liberal Democrats and our parliamentary Agent, turned up in parliament in mid July to make sure the London Local Authority & Transport for London (No.2) Bill was objected to at the second Reading . Grant Davis the chairman of the (LCDC) attended a meeting with the Mayor of London Boris Johnson on Tuesday. At that meeting Grant told the Mayor that the (LCDC) opposed the bill because we could not stand by and see Rickshaws licensed on a voluntary basis and be given ranks to Ply for Hire from. He also stated that with the Olympics coming Rickshaw numbers will increase Ten fold and the consequences will be more congestion which in turn will cause more pollution in the capital. 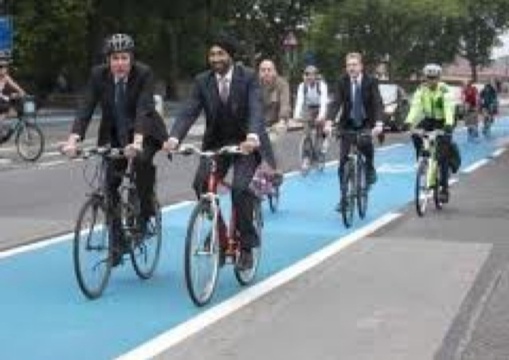 And he is now very pleased to report that Boris seems to have lost patience with the rickshaw menace and will be working to get these death traps banned from the streets of the Capital. The (LCDC) will continue to fight on this issue to defend the licensed taxi trade against this attack on our livelihoods, and for the safety of the traveling public. LT&PH View on Plying for Hire. The London Cab Drivers Club (LCDC) entered a Freedom of Information(FOI) Request to London Taxi and Private Hire (LT&PH) to try to understand their views and lack of enforcement with regards to Plying for Hire In London and the metropolitan area by licensed and unlicensed Private Hire Drivers (PHD) and Operators. 1. What rules and regulations do LT&PH have in place to stop Private hire from plying for hire. 2.How many PH operators have been found guilty for plying for hire in the last five years. 3. What case law do LT&PH use to instruct PH about plying for hire. 4. What do LT&PH view as plying for hire. if not, why not . If this is a police matter, why does TFL not hold records on (PHD) for touting. It is a condition of an operator’s licence that when taking bookings, all licensed private hire operators, regardless of the premises or type of venue they are in, must record the following information. The date on which the booking was made and, if different, the date on which the journey will take place . The name of the person or other identification for whom the booking is made. The agreed time and place of collection. The main destination specified at the time of the booking . Any fare estimated or quoted. The name or other identification of the driver carrying out the booking. If applicable the name of any other operator the booking has been sub-contracted to. The registered number, or other means of identification, of the vehicle to be used Attached is a copy of the guidance notes made available to private hire operator applicants and these confirm the records that must be kept and advise operators that once licensed they must comply with the record keeping requirements and all other applicable regulations and conditions. Bookings must be taken inside the premises that is licensed and attached is a copy of a notice regarding this (19/09). A notice (29/08) was issued to private hire drivers to remind them to comply with local parking restrictions when parking their vehicle or stopping to pick up or set down passengers. Attached is a copy of this notice. However, TfL is unable to enforce against local parking restrictions and this is the responsibility of the relevant Borough. TfL do advise/request the Local Authority to do this in order to deter issues with illegal touting by licensed and unlicensed drivers. Guidance on the difference between taxi and private hire driver licences is available on the TfL website, however, as requested not to just provide links, here is the statement that private hire drivers “must work for a licensed operator or become a licensed operator” and that “Private hire vehicles must be booked through a licensed operator, either by telephone, via the internet or at an office”. When a private hire driver’s licence is issued the driver is also reminded that they may only carry out private hire work, which has been booked through a licensed private hire operator. The Metropolitan and City of London police forces carry out enforcement and compliance activity, often in partnership with our Compliance Officers and part of this work involves targeting drivers who are illegally plying for hire, touting or taking passengers that have not made a booking with a licensed private hire operator. The TfL position regarding licensed private hire drivers who are cautioned for or convicted of touting is that they will have their licence revoked and will not be considered for relicensing for a minimum of 12 months. Attached is a copy of the notice about this (19/08). The case law and definition of plying for hire is an issue for the courts and police to consider when a person is arrested and charged with this offence. TfL carries out compliance inspections of all licensed operators but we do not prosecute operators for illegally plying for hire, the inspections may lead to an operator’s fitness being reviewed for failing to comply with their obligations as a licensed private hire operator and this could result in their licence being revoked but this is not a conviction or the operator being found guilty of an offence. You may wish to contact the Metropolitan and City of London police forces to request any figures they hold for successful prosecutions of licensed private hire operators or people illegally trading as an unlicensed operator. Any arrests for illegally plying for hire or touting, by licensed or unlicensed individuals, would be made by the Metropolitan or City of London police and so they would hold the figures for this. If a licensee was convicted of illegally plying for hire or touting then we would review their fitness but it is drivers who tend to be the focus of this offence. Private hire operators are much more likely to have their fitness reviewed because they are not complying with the requirements of the Private Hire Vehicles (London) Act 1998 and in many cases this will come to our attention as a result of a compliance inspection and this will lead to their fitness being reviewed by Transport for London rather than the operator being arrested and charged. After reading theres replies from (LT&PH), The (LCDC) are going to try to high light the fouling of both parties being London Taxi & Private Hire (LT&PH), and the Safer Transport Control(STC) over the coming weeks. attest that cycling is easier after the odd drink or two. will not lead to a massive impairment in your ability to ride home but, despite alcohol’s pain reducing effect, it impairs athletic performance so too much booze is bad for biking. – even in a pub – so is clearly never enforced. submit to a blood or urine alcohol test. and possibly others by your actions. Would you ride home blindfolded? ‘dangerously’ can be fined by up to £2500. cyclists riding home at night some worst for the wear.